The design of the living area was previously very typical of an office. Note the sliding doors that provide communication between different work areas and the multiple shelves on the walls that are so characteristic of an office environment. Gone are the compartments and the sliding doors and shelves – the office has given way to a living area of most luxurious appearance! 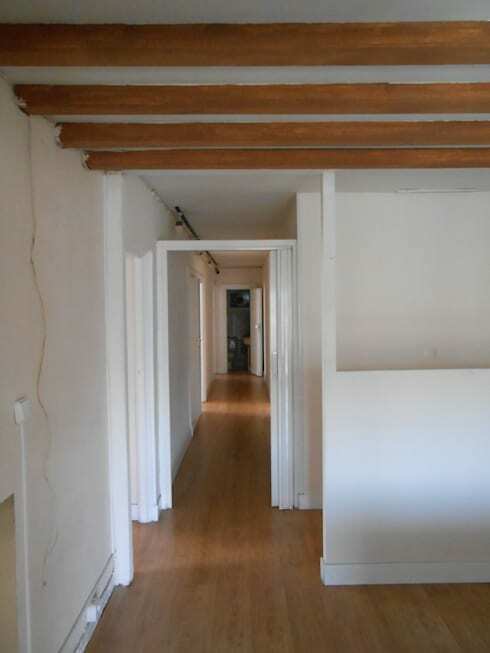 The entrance to the home is clearly identifiable by the presence of the sleek coat rack. 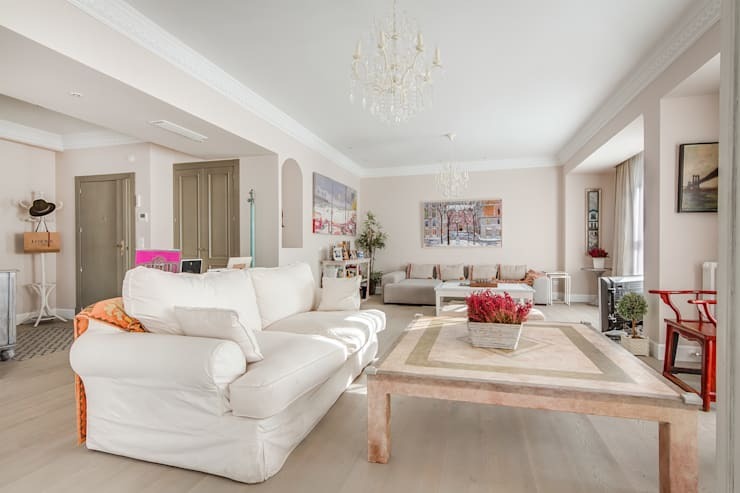 This small nook opens into a large hall that comprises of two living spaces, both of which boast comfortable sofas, beautiful chandeliers and elegant coffee tables. 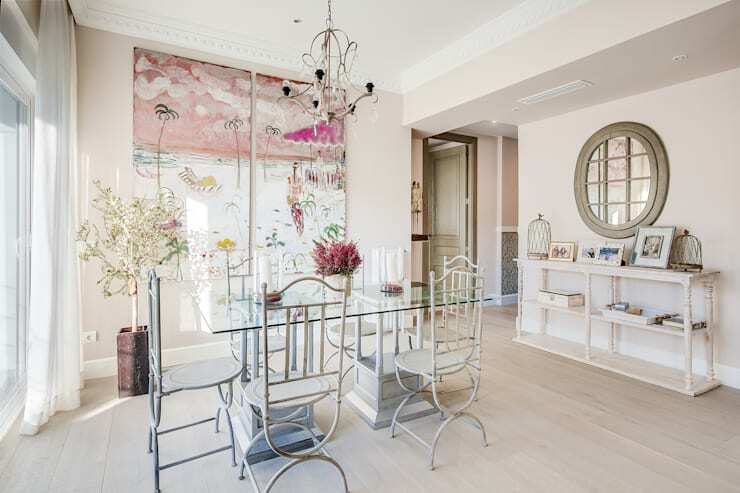 The light, warm hues of the room dotted with splashes of colour in the form of attractive plants and paintings add to the sophisticated ambiance, while the large windows flood the room with natural light. The dining room is a vision of loveliness with its delicately crafted wrought iron chairs and glass-topped table that rests on two unique carved pillars. The futuristic chandelier, tropical-themed painting, plants, and a large round mirror add a touch of exotic glamour to the ensemble. The difference in the height of the ceiling was aesthetically resolved with the use of false ceilings. Here too, a large window provides an abundance of brightness, while the sleek sideboard holds books, family photos and other knick-knacks. 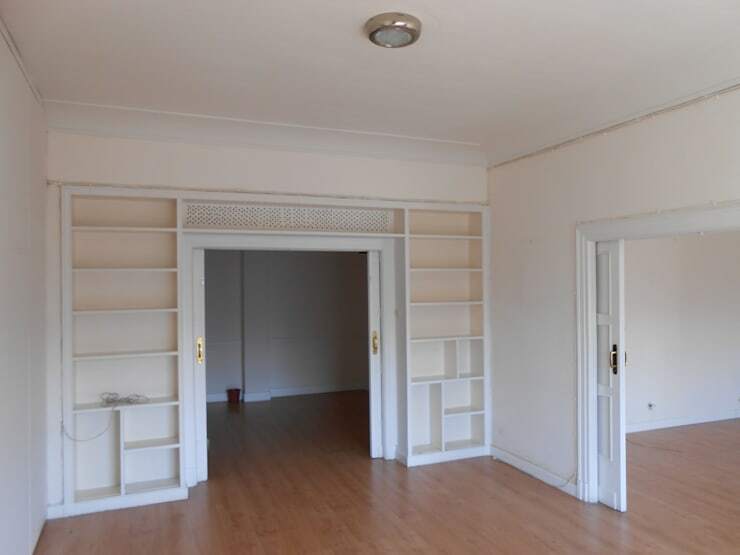 The corridor was clearly not given importance in the office design. It was plain and functional without any hint of beautification or embellishment. What a subtle and elegant transformation! 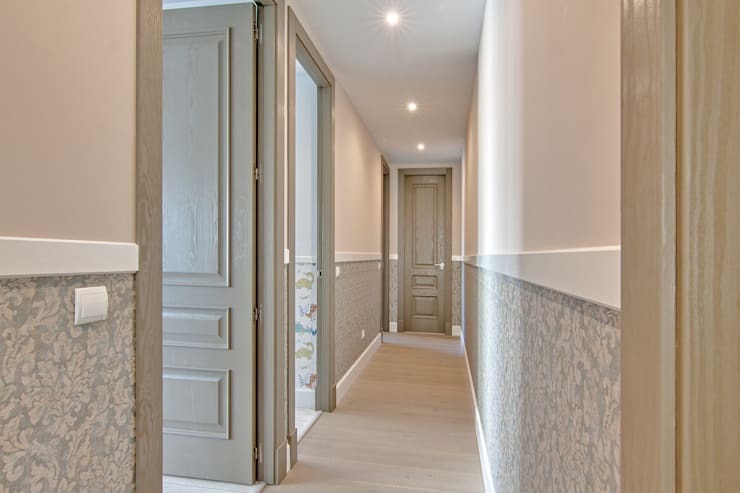 The warm, subdued tones of the walls, wooden doors and floor harmonize exquisitely with the pretty floral patterns running along the passage. The recessed lights add a sophisticated touch that works well with the other features to makes the passage an attractive and friendly space. 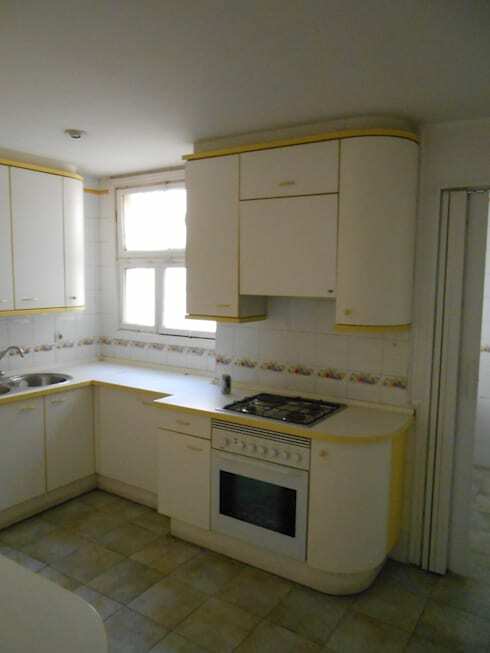 There was nothing to excite us in this dated and uninteresting kitchen. The yellow and white dingy floor tiles and matching furniture were not at all appealing. The space suffered from a very ordinary and bulky design scheme. The new kitchen blows us away with its designer appeal! The white and grey colour palette, recessed lights, classic floor and sleek fittings exemplify a sophisticated contemporary style. The pretty floral pattern of the passage continues into the kitchen, blending well with the colours in this room while adding a touch of elegance. The simple dining table and chairs with the industrial-chic lamp overhead are a cosy addition for comfortable and quick family meals. 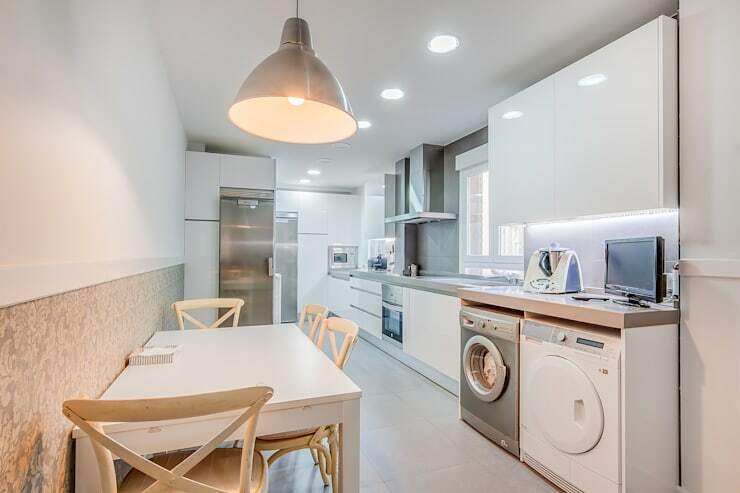 The large kitchen also neatly accommodates the washing machine and a sleek work station so that multiple tasks can be executed simultaneously. 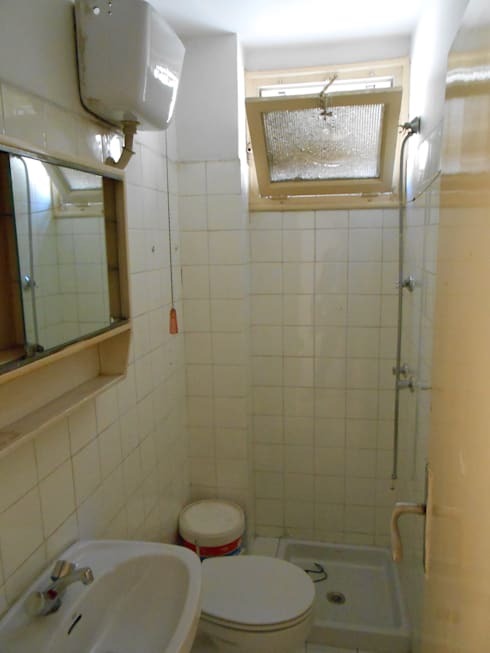 What a cramped and old-fashioned bathroom! The outdated tiles and window, the shabby sanitary ware and fittings, the drab mirror on the wall – everything lacked style. 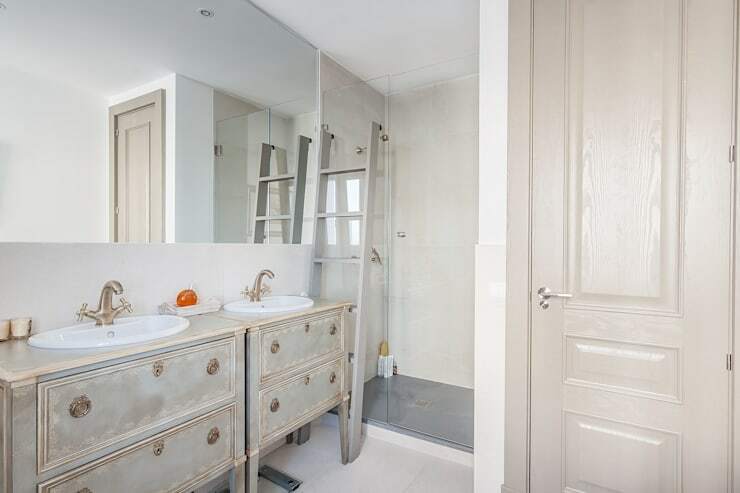 The master bathroom has now been converted to a vintage-style space – note the antique look of the furniture and fittings. The wise use of large mirrors is a modern touch that gives the illusion of space, while light grey and white tones enhance the airy feel. 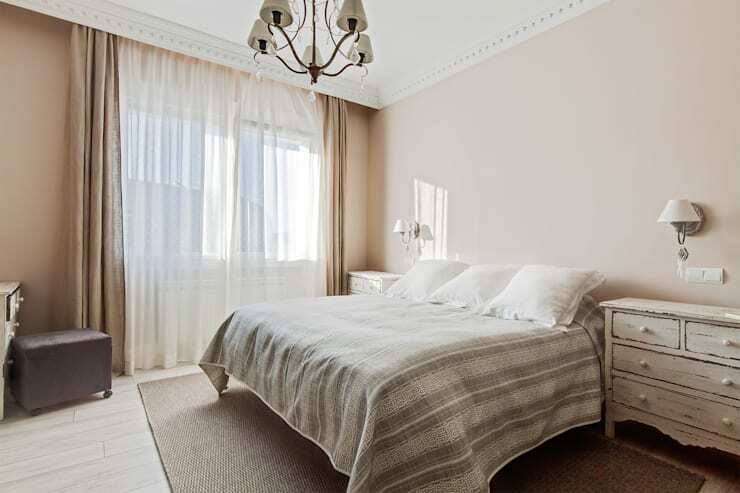 Some of the office spaces were converted to four bedrooms, and here we see the master bedroom showcasing the same subtle, warm hues that run elegantly through the rest of the house. The comfortable bed poised on its rug, the large windows providing natural light, the stylish chandelier with matching wall lamps, and the antique look of the furniture all merge cohesively to create a restful ambiance that is perfect for the bedroom. The team at Diseño y Arquitectura Interior have successfully transformed a plain and functional office into a sophisticated and luxurious home through the strategic use of warm and subtle colours, elegant designs, and a classic touch of vintage style. Here’s another makeover story to inspire you further: The miraculous revamp of a terrible terrace. Are you impressed by this office-to-home makeover? Let us know!